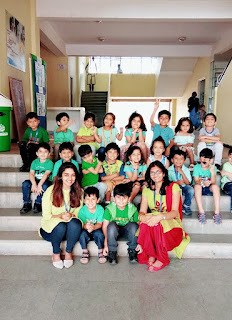 As part of the Green Day Celebrations at DRSIS, our little ones of the International Kindergarten celebrated the color ‘Green’ in good spirit. 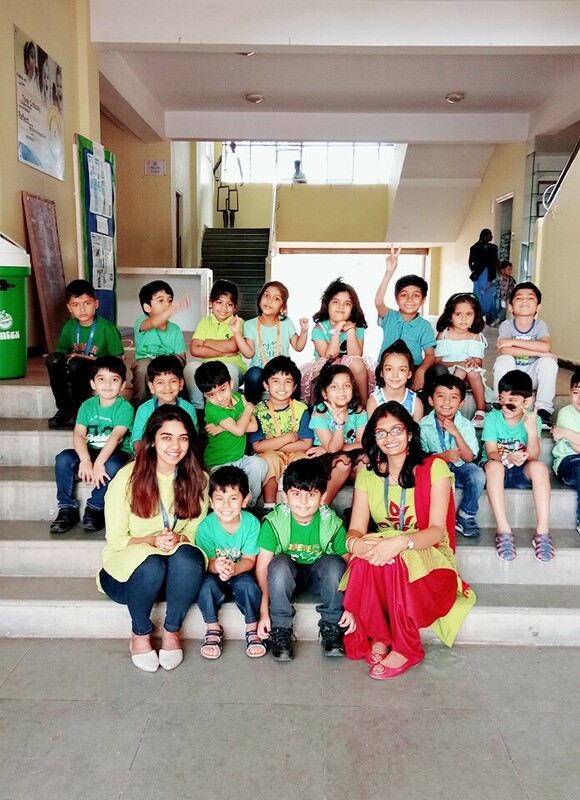 The IK-1, IK-2 and IK-3 students came dressed in fancy shades of green and had a gala time. 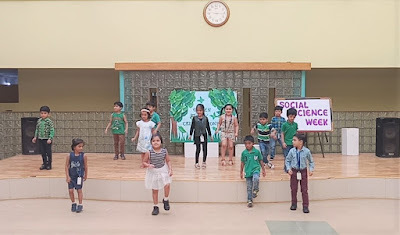 To explore the color ‘Green’, the IK-1, IK-2 & IK-3 students presented a special assembly with a showcase of performances on songs related to the color ‘Green’ such as ‘Jelly on a Plate’ by IK-1,’It’s a Beautiful Day’ by IK-2 and M-I-C-K-E-Y Mouse and ‘I Can Do It’ by IK-3. They also enjoyed the outdoor activity of identifying green color through a nature walk and even enjoyed crafting bright and beautiful take-aways of butterflies and bugs, owls and earthworms as a token to remember the celebrations.